The HCG diet is now in vogue and should you choose to go this route, there are some things you should know. • The HCG diet was developed by Dr. A. T. W. Simeons, in the 1950’s and had a strict protocol. The dose of hormone given was 125 IU. On the Internet, you can find unregulated HCG homeopathic drops. Homeopathic medications provide only a minute amount of medication and you don’t really know how much you are getting and if you are getting an effective potency and purity. • There are side effects that can occur from rapid weight loss such as sudden changes in blood pressure, drops in blood sugar, heart rhythm disturbances, elevation of cholesterol, gout attacks and gallstones. Careful selection and monitoring is essential to avoid complications. You should not try this if you have a BMI is less than 20, cancer, uncontrolled or insulin dependent diabetes, heart attack, TIA or mini stroke, stroke, unstable angina, tumors as hormones could possibly stimulate their growth, an eating disorder such as anorexia or bulimia and if you are pregnant or nursing. 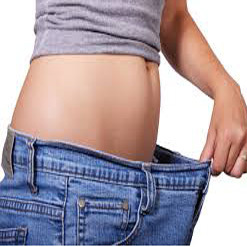 If you don’t have any conditions that would interfere with your trying this restrictive, very low calorie diet, be sure to go to a reputable physician who has experience with this and can monitor your progress as well as teach you how to keep the weight off. There is no cure for weight loss, however getting a jump start and losing rapidly can be a strong motivator to continue. Using the time to learn why you eat when you do, whether it be anxiety, boredom, comfort, cravings or habit and making different choices, can empower you to change your lifestyle in a very beneficial way. Be a safe and successful “loser” in 2011.